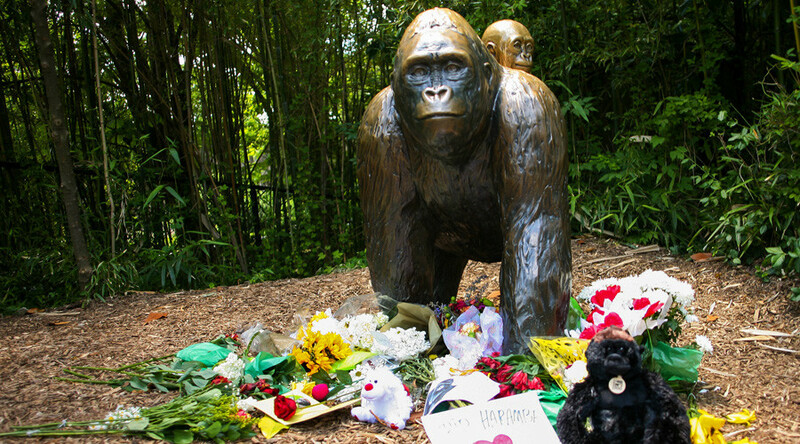 While many were just getting over last year’s death of Harambe, it seems 2017 is off to a bad start for his fans after it emerged his grandmother, Josephine, had to be euthanized by zoo staff in Miami. The decision to euthanize the matriarch gorilla, 49, was taken following years of declining health. It was with “very heavy hearts” that zoo officials took the steps on Wednesday, Zoo Miami said in a Tweet. “This morning, when Josephine could hardly move, even to reach for her favorite treat, the staff knew the right thing to do, they made the very difficult decision to humanely euthanize her,” The zoo said on Facebook. Just 1 day before #Trump is inaugurated and there's been an avalanche, a building collapse, a bus crash and Harambe's grandmother has died. The elderly primate was born in the wild in 1967, before being brought to Zoo Miami in 1983. She gave birth to the first gorilla born at the zoo a year later. In 2009, Josephine, practically blind from cataracts, received historic surgery involving the implantation of artificial lenses, greatly improving her quality of life. The inevitable outpouring of grief for the world’s most famous ape family followed on social media, with #RIPJosephine trending shortly after the news emerged. While some were unable to come to terms with the death of a gorilla which had survived well beyond the typical life expectancy of 40 years, it wasn’t long before some pointed to everyone’s favorite enemy of the moment, Russia, as the cause of Josephine’s death. It’s been a bad start to 2017 for gorillas. Josephine's death follows that of 34-year-old Binti, who passed away following a blood clot earlier this month at Zoo Miami. The world’s oldest known gorilla, Colo, also died on Tuesday at Columbus Zoo in Ohio, at the remarkable age of 60.